The Monster Energy NASCAR Cup Series and Xfinity Series head to Watkins Glen (N.Y.) International this weekend. In addition to his usual role behind the wheel of the No. 10 Go Bowling Ford Fusion for Stewart-Haas Racing (SHR) in Sunday’s Cup Series race, Almirola will also compete this weekend in the No. 98 Go Bowling Ford Mustang for Stewart-Haas Racing with Biagi-DenBeste in Saturday’s Xfinity Series race. It’s all in an effort to continue to hone his road-course-racing skills. While the road courses have been a challenge for Almirola over the years, he posted his best career Cup Series road-course finish of eighth at Sonoma this year in his No. 10 Ford Fusion. Heading into this weekend, Almirola has made just one previous Xfinity Series start at Watkins Glen, in August 2011, when he started 17th and finished eighth. The 34-year-old will make his eighth Cup Series start at The Glen this weekend, looking to improve on his best Watkins Glen finish of 16th. He’s completed 597 of the 630 possible laps at the facility, and hopes the extra seat time he’s getting in the No. 98 Xfinity Series entry will allow him improve his Cup Series performance this weekend. This weekend at The Glen, professional bowler Jason Belmonte of Orange, Australia will be attendance. He’s also known for his bowling trick shots that can be seen here from Dude Perfect. Belmonte will be showcasing his skills on the two fully operational lanes Go Bowling has set up at The Glen for the fans during the weekend. Almirola will also display his bowling skills at the bowling lanes on Friday and Saturday. Almirola and the No. 10 Go Bowling Ford Fusion also will give the fans a chance to get a little extra money for their bank account this weekend. If he wins at Sunday’s Go Bowling at The Glen, one lucky fan will win $10,000. If Almirola doesn’t win Sunday, one fan still has the chance to win $1,000. To enter the contest, visit GoBowling.com/10k. 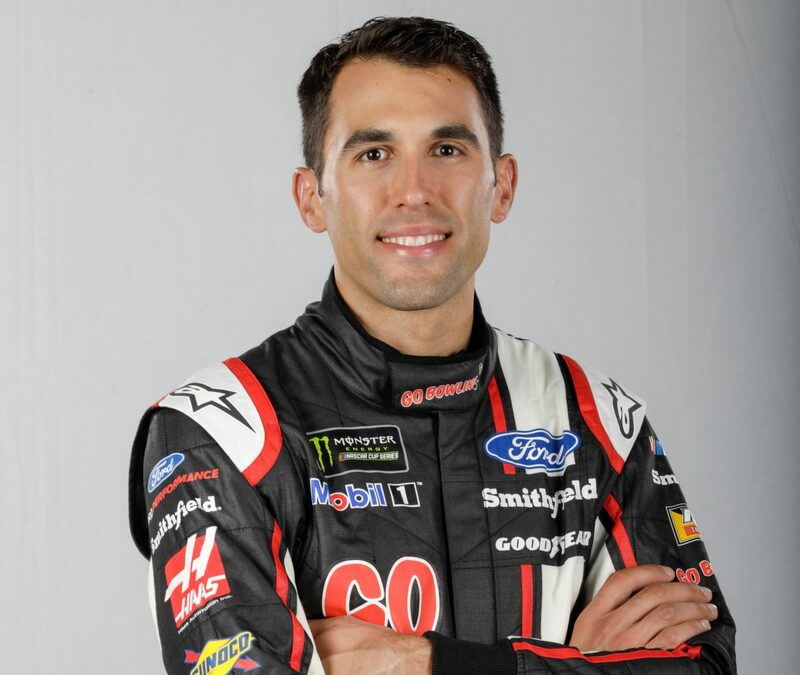 In 21 Cup Series starts this year, Almirola has accrued an average start of 19.7 and an average finish of 13.1, with one top-five finish and eight top-10s. He’s also led 113 laps this season, already a career best. Almirola rounds out the four-driver SHR contingent at 11th in the point standings. Can you talk about what it’s like making a lap at Watkins Glen and what it takes to get around the track? What is the highest score you’ve bowled? How do you feel going into the road-course race? With one coming in the playoffs, is it more important to you?